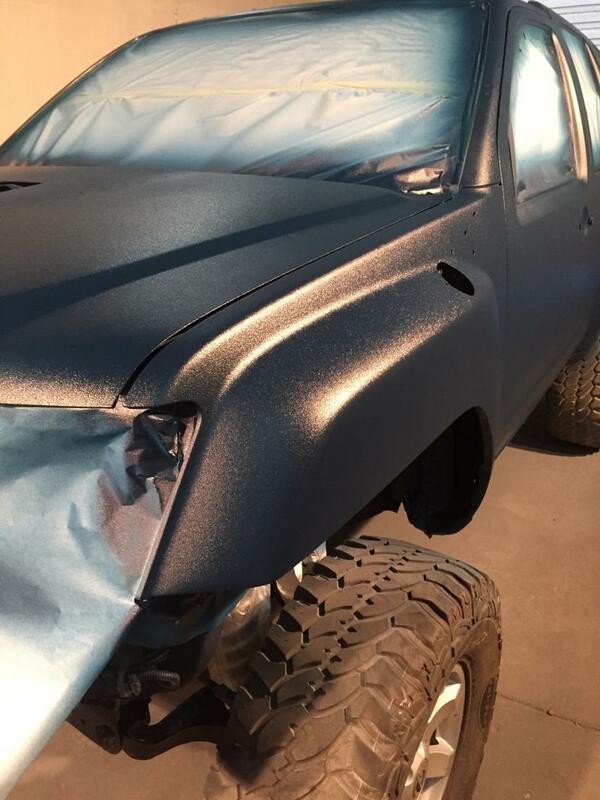 Does anyone have experience with having your Sportsmobile painted with truck bed liner? From what I have read it seems extremely durable and scratch resistant. I also realize that it will add weight to the van, although I've been told a bed lined alone will add 50 lbs of weight. Given the average truck bed 6'x6' (roughly) that equates to 1.3 lbs per sqft. The average Ford van seems to have roughly 378 sq feet, and that equates to roughly 500 lbs additional weight. I have been quoted $6.50-$7.00 per square foot. Any info you could share would be appreciated. A gallon of bed liner will cover 100-125 sq ft. And a Gallon of raptor liner weighs less than 10 pounds in the bottles. That's interesting. Thanks. The technician at Inyati was where I got my info. 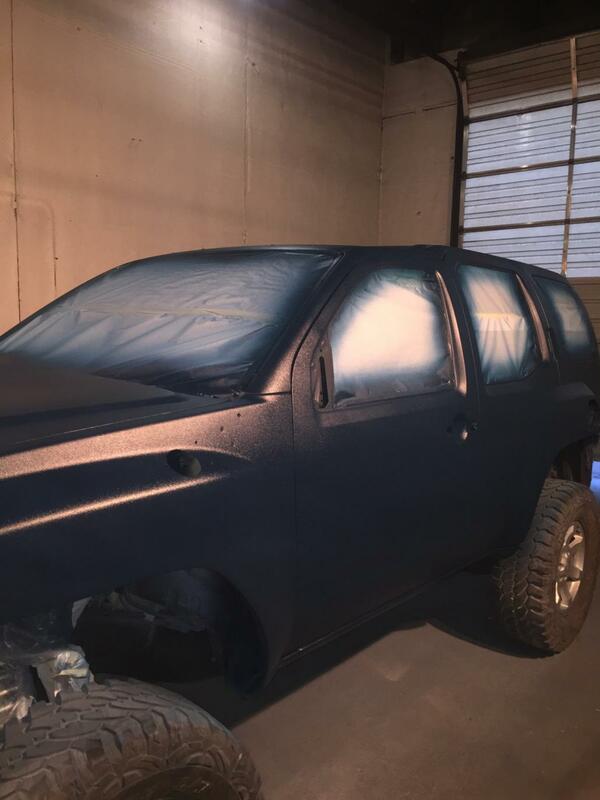 I ironicly just finished spraying a friends Xterra tonight with tinted raptor liner. I love this stuff great option for trail and heavy use vans. If you don't mind what did it cost? Any particular grade of Raptor liner? Seems to me it was around 130.00 for 4 quarts with the hardener. There is also additional for the tint color. I don't believe there was any special grades available. You can change the texture by how it's sprayed. I use and hvlp spray gun opposed to a shutz gun. That's not very expensive at all. however, I have no experience in painting. Lots of folks here have done it. I did my last van. The word on the street about adding all that weight is a myth. A box of Raptor Liner weighs a few pounds, like 8 or so. It's one gallon of material. It might take two full kits to cover a van, or even if it was three that means 25 lbs., not hundreds. It's a great option.